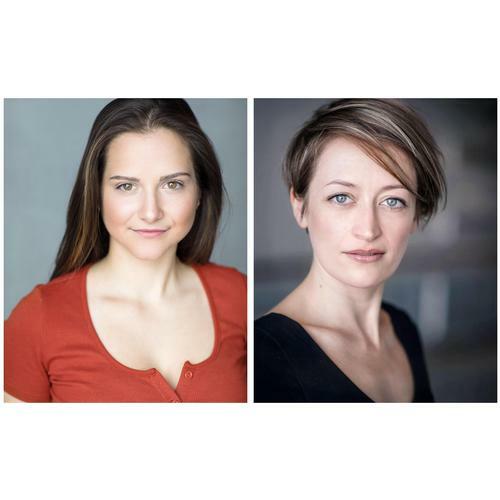 Let’s chat with Alexandra and Esme about theatre and Section 2, a new play by Peter Imms about mental health and sectioning, opening at the Bunker theatre in June. Can you tell us a bit about you and your previous work? ALEX: I graduated from drama school in 2012 and have worked as an actor and producer since then - it’s a bit of a juggling act but it means I’m never bored! I’ve worked a lot in musical theatre and new writing which is a real passion of mine. I helped develop the role of Lily in Streets which was at the Cockpit Theatre in 2013, and then transferred to the Hackney Empire, and I’ve also worked with Enda Walsh and Ivo Van Hove on the UK transfer of Lazarus at the Kings Cross Theatre. The first show I produced called Shrew, which was written and performed by Ami Jones and directed by Abigail Pickard-Price won Best Actor at the Buxton Fringe in 2014 and went on to the Edinburgh Fringe, the United Solo Festival in New York and the Fringe Club in Hong Kong before coming back to London for a run at the Camden People Theatre in London. I’ve general manager two other UK Tours since then, and I’m currently developing my first short film which is due to shoot this summer. ESME: I trained at Mountview, where I met Chris Woodley, another actor with whom I co-founded Hyphen Theatre Company; ever since, we've been making theatre which places under-represented voices at its heart, telling stories that are LGBTQ+ or female focused. We produced our first full-length play Next Lesson in 2015, in which I was also one of the six multi-role cast members; we are currently touring a one-man show entitled The Soft Subject (A Love Story). Both with and outside Hyphen, I enjoy the process of devising new pieces of performance, and regularly work in this way with musicians and dancers as well as other actors. In 2016 I understudied Janie Dee and Jemima Rooper in Robert Askins' dark comedy Hand to God on the West End, as well as appearing in Coronation Street; this was followed last year by work on Emmerdale. Alongside theatre and television, I love the freedom and creativity of voice and radio work; most recently I recorded all 6 episodes of David K Barnes' Drayton Trench live at the Museum of Comedy in Bloomsbury for Wireless Theatre and Snatchback Productions. I've performed in some cracking London venues, including the Arcola, the New Diorama and King's Place; I'm very much looking forward to performing at the Bunker for the first time. Can you tell us about Section 2 and your character, which will be playing at The Bunker Theatre in June? ALEX: Section 2 is a beautiful part verbatim story about a young man named Cam who is sectioned under the Mental Health Act, but no one can really figure out why. I play Kay; Cam’s girlfriend who’s been by his side throughout the process and we join the story on what is hopefully Cam’s final day of treatment - the twenty-eighth day. Kay is an interesting one; she’s incredibly frustrated and understandably confused at this huge change in their lives, but all the while is desperate for Cam to get better. There’s a real battle within her of whether she should trust the care system or not, because in her eyes he has deteriorated since being there. What’s also interesting is that the play is in real-time - you see her frustration build and build until at the end of the play it become very apparent that sectioning doesn’t just affect the patient, but their loved ones too. ESME: I play Rachael, the key worker who hopes to be able to unlock, or re-set Cam, who has been sectioned. She describes it as being like "kickstarting him again. Turning him off and on. Control, Alt, Delete." Rachael is the only professional presence in the piece, whilst Cam, Kay and Pete have known one another for a long time. As a result Rachael is the outsider, but in the context of Cam having been sectioned, the action of the play takes place in her territory, where her role provides her with a different kind of closeness and connection with Cam. This creates some powerful tensions in the piece, raising questions about the extent to which we ever really know one another. It is Rachael's job to help Cam 'get better', but in order to do this she must earn his trust, walking the line between professional support and friend. The dynamics of the piece are fascinating to me, and that's what gripped me about the writing when I first read it - these four characters are all so powerfully involved in and affected by Cam's mental health, but in quite different ways. What kind of theatre do you enjoy? ALEX: I absolutely adore new writing (if you couldn’t already tell! ), and I always try to get to see as many new shows as possible over every genre. The arts are there to hold a mirror up to society and make us question the norm, so anything that is daring enough to do this gets me buying a ticket. ESME: Theatre that is honest, and performed with conviction and commitment. I enjoy a huge range of styles, and genres, but in the end, for me it's the storytelling that matters. Seeing Denise Gough in People, Places and Things, or Mark Rylance in Farinelli and the King, those are the kinds of performances that deliver an honesty and a truthfulness that takes my breath away. But we're so fortunate that we don't have to go to the West End to find great theatre. I've seen a huge amount of powerful, beautiful work on the fringe, and am excited by how much excellent theatre is being made and performed on smaller stages, not only within the capital but also around the country.